Borussia Dortmund vs Augsburg predictions for this weekend’s German Bundesliga. Dortmund look to maintain their position at the top of the table against Augsburg at Signal Iduna Park on Saturday. Read on for our free betting tips and match preview. Borussia Dortmund’s landscape has changed a lot since the glory days of the early 2010’s and last season’s topsy-turvy performances prompted due change. Former-Nice and Borussia Monchengladbach boss Lucien Favre is the man Der BVB have assigned to mould them into title contenders once again, and with 14 points from their opening six matches (W4 D2), it’d be reasonable to say they look back on the right track – in fact, Dortmund have only got off to a better start under one coach: Thomas Tuchel. Spanish forward Paco Alcacer, on loan from Barcelona, must be in contention to start this weekend after scoring four goals off the bench over Dortmund’s last four matches across all competitions. Either he or Maximilian Philipp should spearhead the Dortmund attacking trio that has scored a massive 14 goals since last Wednesday – one 7-0 win over Nurnberg, one 4-2 win against Leverkusen, and one 3-0 win against Monaco in the Champions League. Augsburg are their opponents for this weekend and the Bavarians have been “giant stoppers” as of late. Coach Manuel Baum’s men because the first team of the 18/19 season to take points from champions Bayern Munich with a 1-1 draw at the Allianz Arena last week, while also holding the in-form Borussia Monchengladbach to a 1-1 draw at the start of September. And if that didn’t make them sound dangerous enough, then the return of last season’s second top scorer Alfred Finnbogason certainly should. He marked his first start of the season with a hat-trick in a 4-1 win at home to Freiburg over the weekend following a spell sidelined. He should hold his spot up front with forward Michael Gregoritsch (13 goals and 4 assists last season) providing support. Augsburg will also be looking for big performances from key players like Philipp Max, who broke Philipp Lahm’s record (11) for most assists by a defender in the 17/18 Bundesliga season. So what should we look for betting-wise in this match? 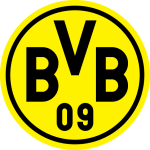 Well, Favre’s Dortmund are very much up and running and Signal Iduna Park is always a tough place for visitors to come and take a result – Dortmund have won in eight of their last ten league outings there – so you’d have to fancy them to get another result here. Dortmund are proving one of the most dangerous sides in the Bundesliga at the moment and when you look at their attacking talent you shouldn’t expect anything less. Forwards Marco Reus, Maximillian Philipp, Christian Pulisic, and Jordan Sancho (to name just a few) have all contributed in one way or another in the 18/19 season so far and last time out at home they combined to fire SEVEN past Nurnberg. After knocking three past Eintracht Frankfurt and four past RB Leipzig in the other two home outings before that, Der BVB are looking at 14 goals scored at home for the season, almost five per game. If goals are of no question for Dortmund, then what about Augsburg? Well, Augsburg have scored at least one goal in every match so far, and with Alfred Finnbogason coming back with a bang, you would think they have a decent chance to keep this run up. Augsburg actually hold the joint fifth best offense in the Bundesliga, while Dortmund have failed to keep a clean sheet in 67% of their matches. However, one notable stat about the visitors that remains is their defense on the road. 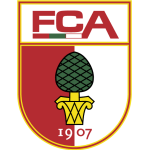 Augsburg’s poor away form towards the end of last term has continued into the 18/19 campaign and the Bavarians have failed to keep a clean sheet in their last five on the road, even against opponents as week as Fortuna Dusseldorf and Mainz. Taking all the above into account, Dortmund’s strength, form and historically strong home record (see head-to-head) should see them come out on top of a high scoring affair. Our prediction: 3-1 Dortmund. Over 2.5 goals were scored in 100% of Dortmund’s home and 67% of Augsburg’s away matches so far this season. Over 3.5 goals were scored in 100% of Dortmund’s home matches this season too. Dortmund have won eight of their last ten league outings at Signal Iduna Park (W8 D1 L1). Augsburg have won just two league away matches in 2018 (W2 D6 L4).